Start collecting data in just a few minutes, it’s easy! Moodalytics gives you key reporting insights into your elearning engagement and performance. See which courses are most popular. See how effective your marketing campaigns are. Improve your Google rating. Optimize your LMS to fit your user’s resolutions, devices and browsers. Customizable Dashboard gives you quick easy access to information about your Learning Management System. Deep analytics allow you to drill down and filter for specific insights. View all needed information as graph, table or tag cloud. Mark positions on graphs and leave comments. Convert table reports to graphs to analyze trends. Select which events you would like to track. You can create events like “course start”, “course finish” on similar and track when they are triggered. 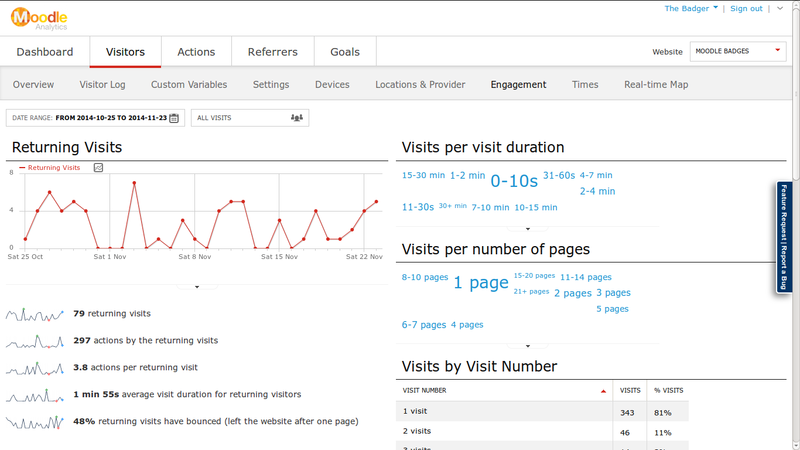 With EVENTS you can track any user interaction you want. You can set up actions users need to do to accomplish a goal. For example a user needs to register and finish their first course. You can track how often is the goal logged and see if you can make improvements to your Learning Management System so that more users will accomplish the goal you set. Find out how others found out about you. Have they found you on Google? What were they searching for when they found you? Have they found you on some of the many social media sites? How are your ad campaigns doing and if they need some tweaking? 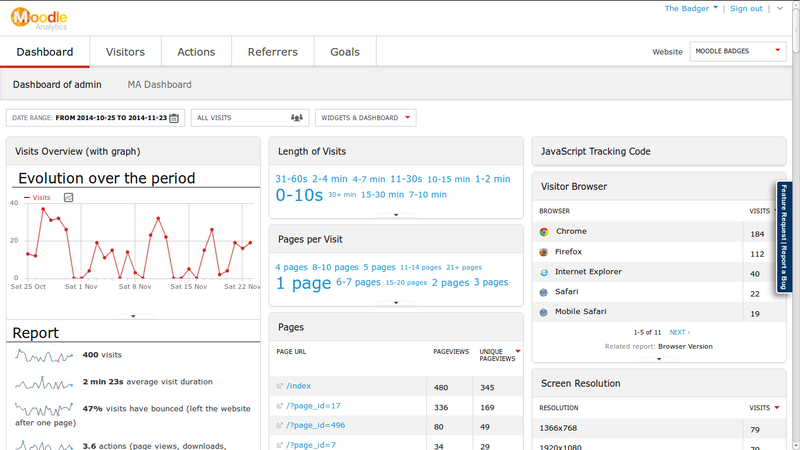 Moodalytics automatically recognizes Google ad campaigns and tracks them. You can generate many more useful marketing report and improve rate of converting visitors into users. Which courses do they look at? Yes, Save me valuable time! An easy to use tool for writing Character conversations and scenarios for entertainment, e-learning, emergency response, healthcare diagnoses, sales and customer service, and strategic planning.